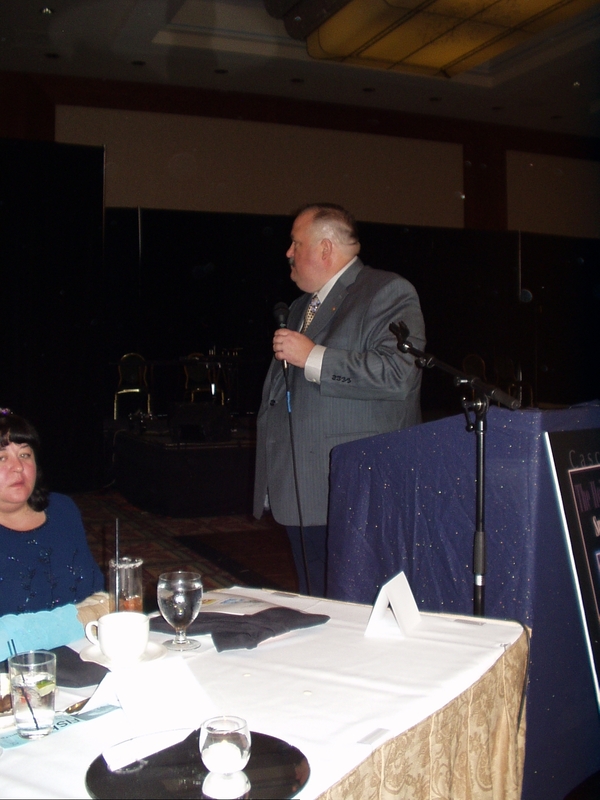 Thanks to Alex von Thorn, C. Herbert Gilliland for caption help on this page. 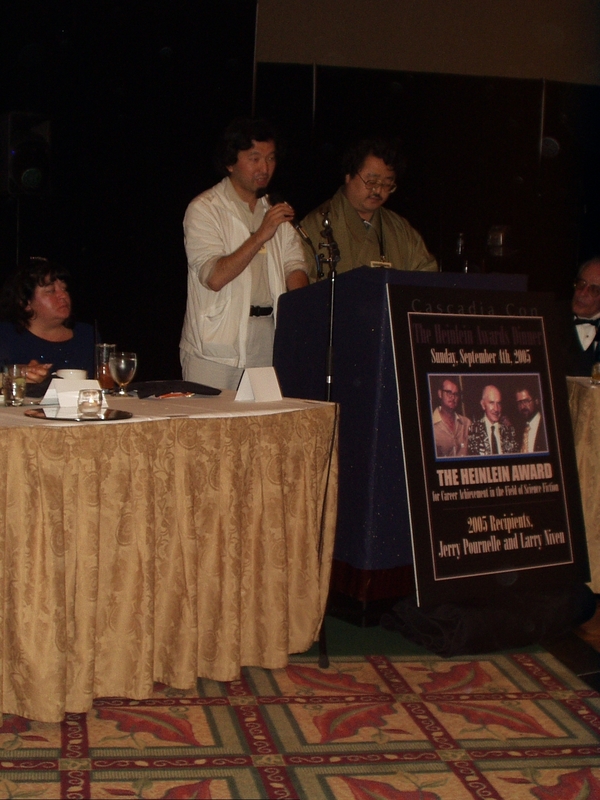 Takayuki Karahashi translating Hiroaki Inoue's speech about the Seuin awards. 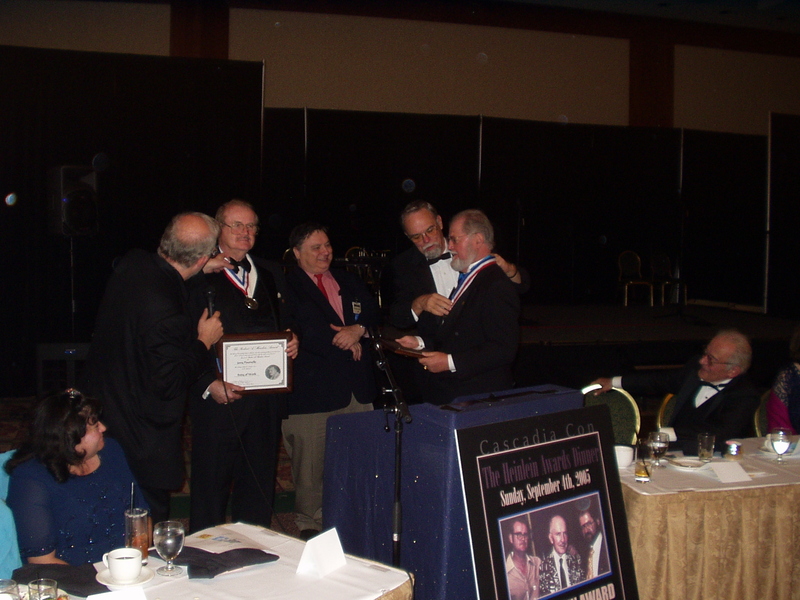 Greg Bear adjusts the Heinlein medal on Jerry Pournelle, Michael Flynn stands with hands folded, and C. Herbert Gilliland puts the medal on Larry Niven. 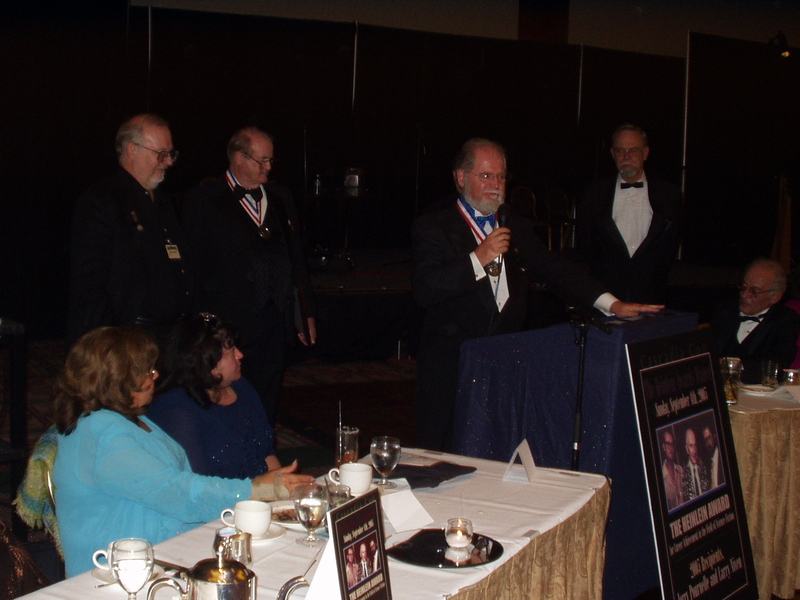 Greg Bear, Jerry Pournelle, Larry Niven, and C. Herbert Gilliland. The display says that the laptop's battery is almost dead. 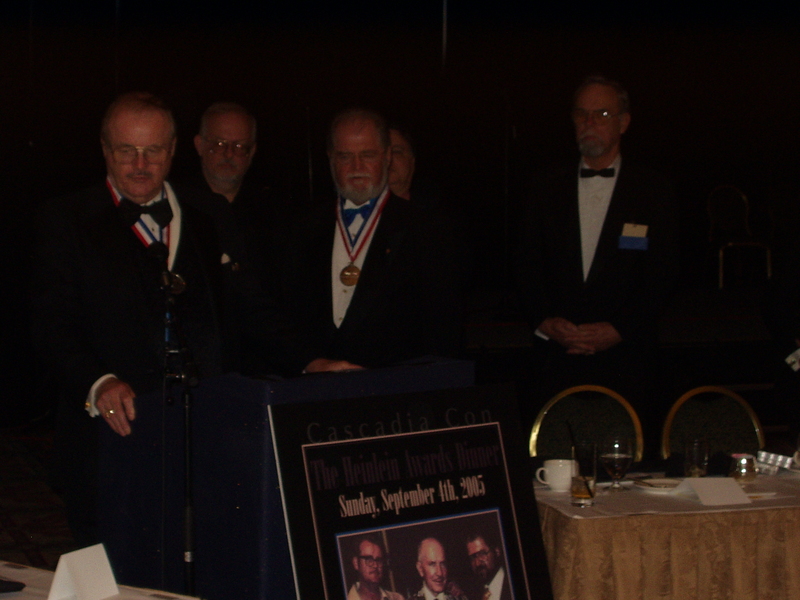 Jerry Pournelle, Greg Bear, Larry Niven and C. Herbert Gilliland. 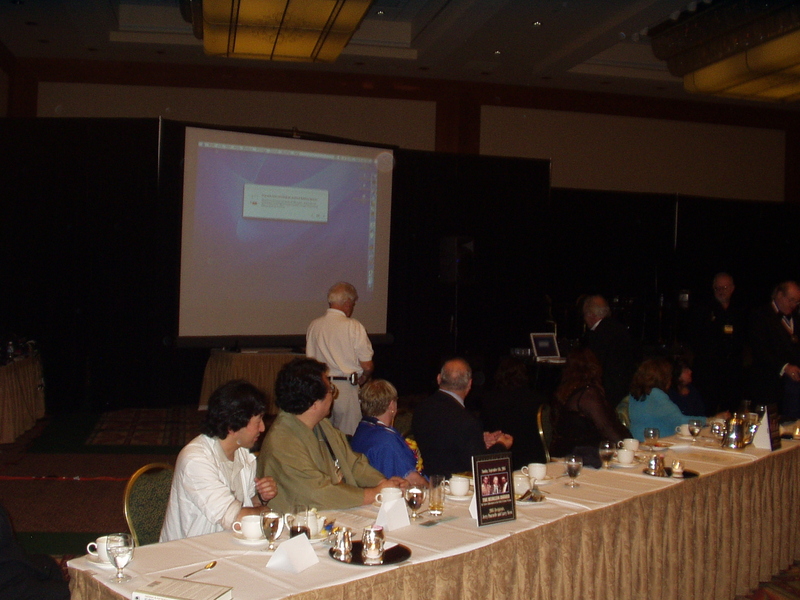 Robert Grieve from the Heinlein Society (who has run Norwescon Programming for several years), proselytizing. 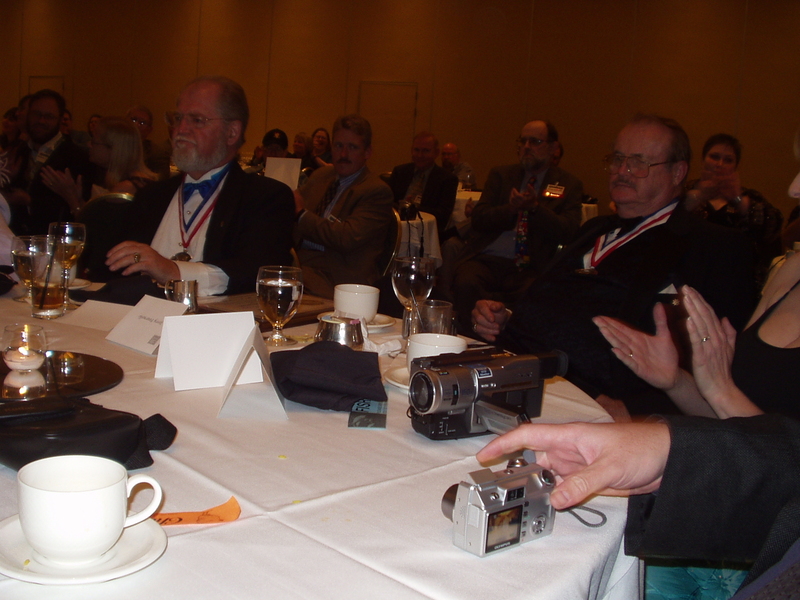 Larry Niven and Jerry Pournelle at their table. 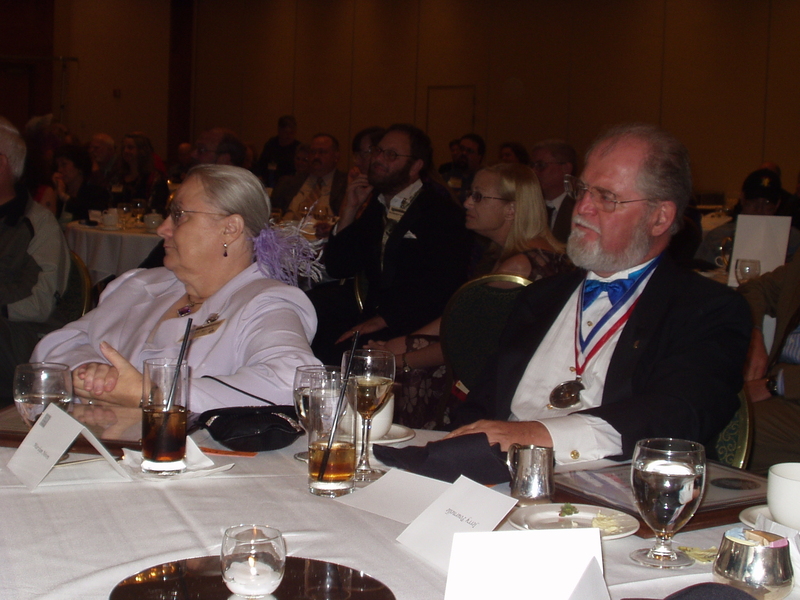 Fuzzy Niven and Larry Niven. 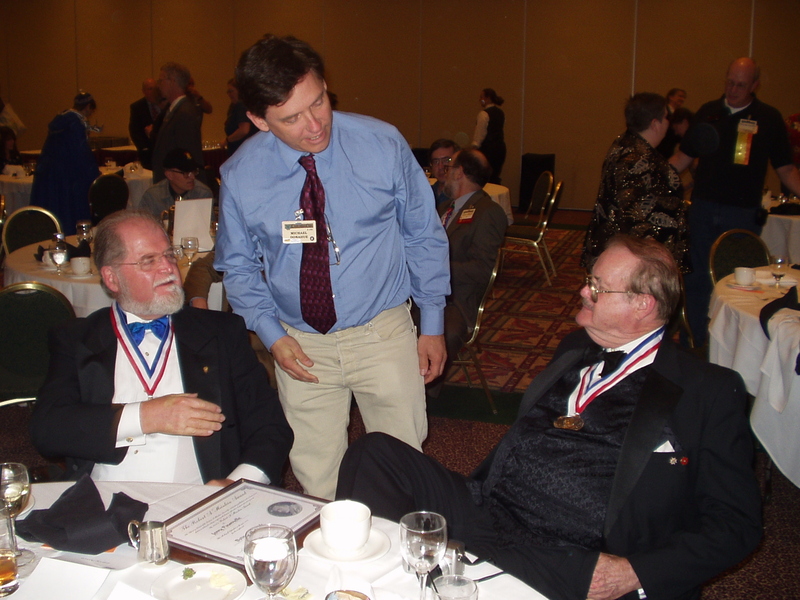 Larry Niven, Mike Donahue, and Jerry Pournelle. 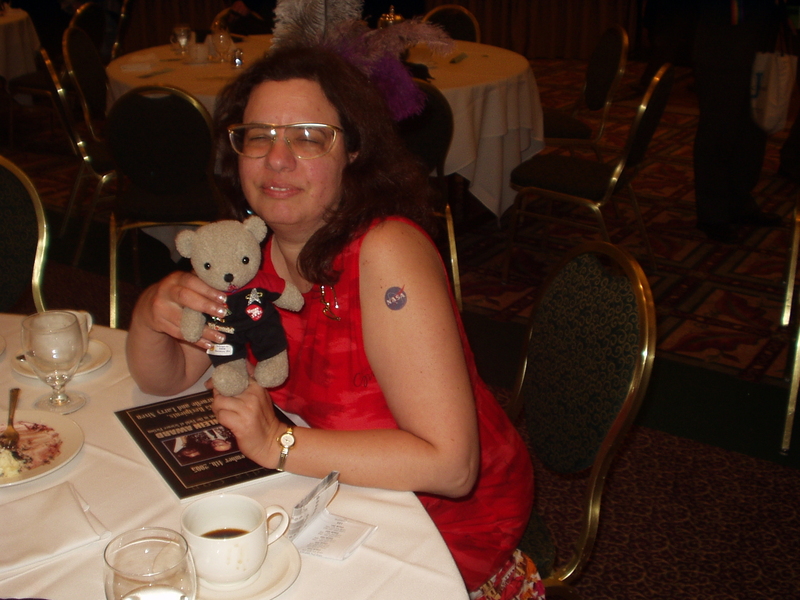 Someone with a Star Trek bear.